Ex-Wrexham and Shropshire liveried 67013 leads AL01 with DVT 82301 on the rear, powering the 1I28 10:03 Birmingham Moor Street to Wembley football special via the WCML at Chelmscote on the 26th February 2012. 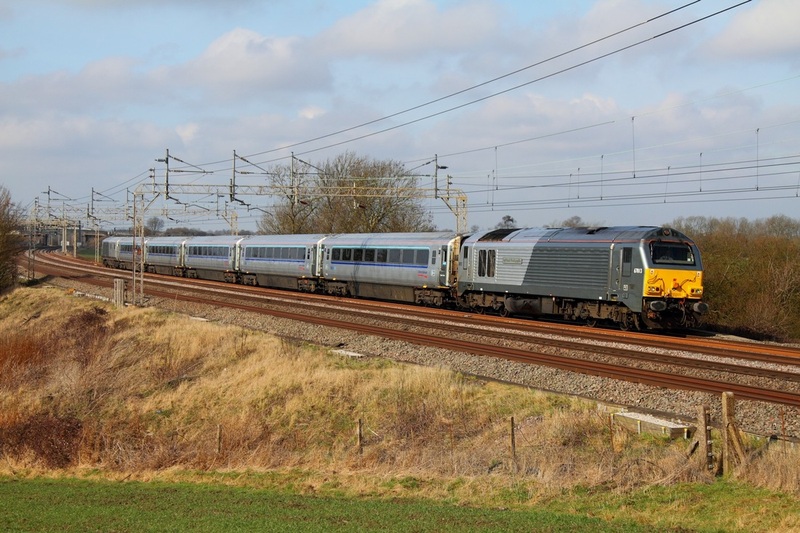 The train was diverted due to the Chiltern line being closed between Banbury and Bicester. The football specials were for supporters travelling to the Carling Cup final at Wembley between Cardiff City and Liverpool FC. Northern Belle liveried 47790 leads the Northern Belle with 47832 on the rear working as the 1Z26 Chester to Wembley at Chelmscote on the 26th February 2012. 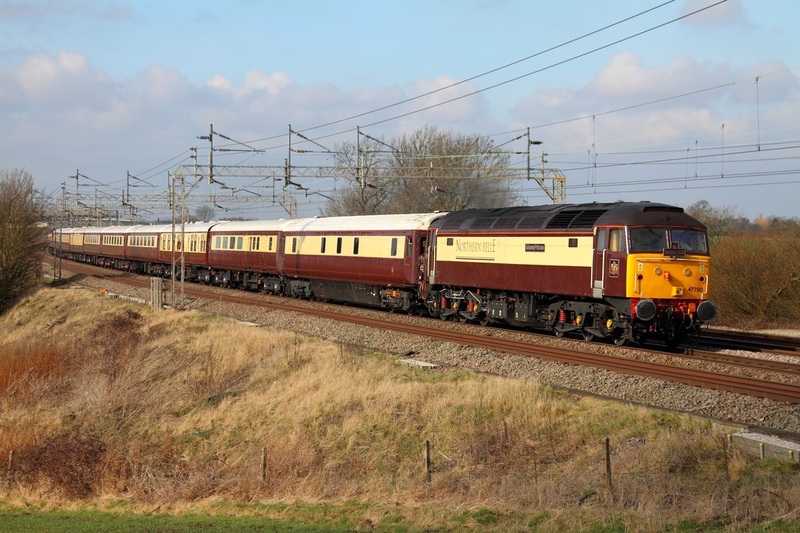 The Footex was originally planned to start from Liverpool Lime Street but started from Chester due to a HOBC derailment at Winsford which caused much chaos on the WCML for travelling supporters. DRS 47818 leads a rake of Virgin MK2s with 47841 tucked on the rear powering the 1Z24 Liverpool South Parkway to Wembley football special at Chelmscote on the 26th February 2012.